The five love languages work for everyone (they're not just for married couples)... In this world we're surrounded by more people than ever--yet we often still feel alone. Being single or married has nothing to do with whether you need to feel loved! Everyone has a God-given yearning for complete and unconditional love in the context of all relationships. If you want to give and receive love most effectively, you've got to learn to speak the right love language. Different people with different personalities express love in different ways. In fact, there are five very specific languages of love: Words of affirmation, gifts, acts of service, quality time, and physical touch. 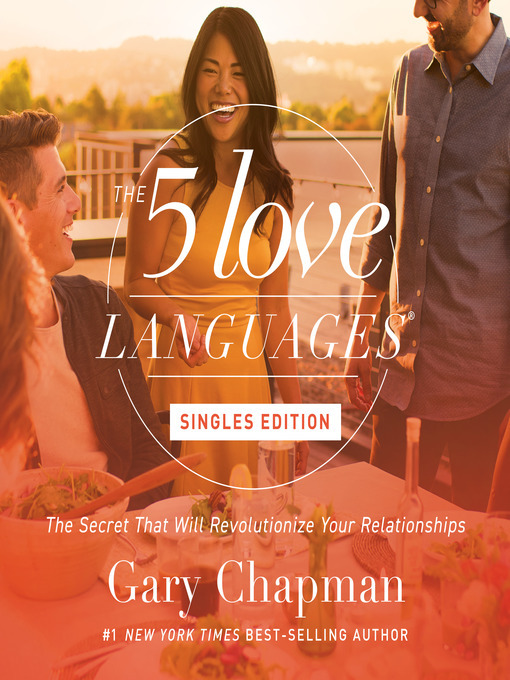 Dr. Gary Chapman's original bestseller was first crafted with married couples in mind, but the love languages have proven themselves to be universal. The message of this audiobook is now tailored to meet the unique and real desires of single adults. Insert disc 5 into your PC to access the PDF material.